This piece of Torah scroll has five columns of sacred Hebrew text written by hand on parchment paper. The Torah contains the biblical commandments of Judaism. Its written form includes five books in which God transmitted his message to Moses. This Torah scroll was purchased by Mauricy Kopelman outside the Warsaw ghetto. 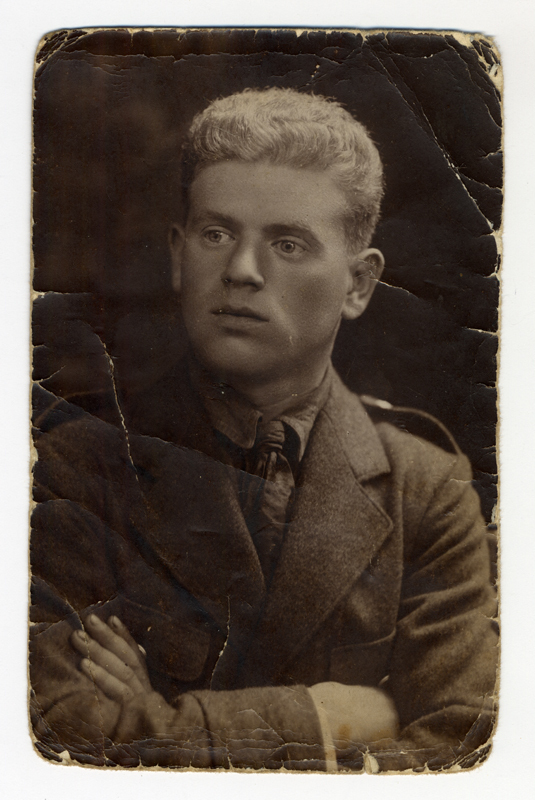 Mauricy Kopelman’s portrait taken before the war. During the German occupation, Mauricy Kopelman was forced to live in the Warsaw ghetto. He managed to sneak in and out of the ghetto to smuggle food. 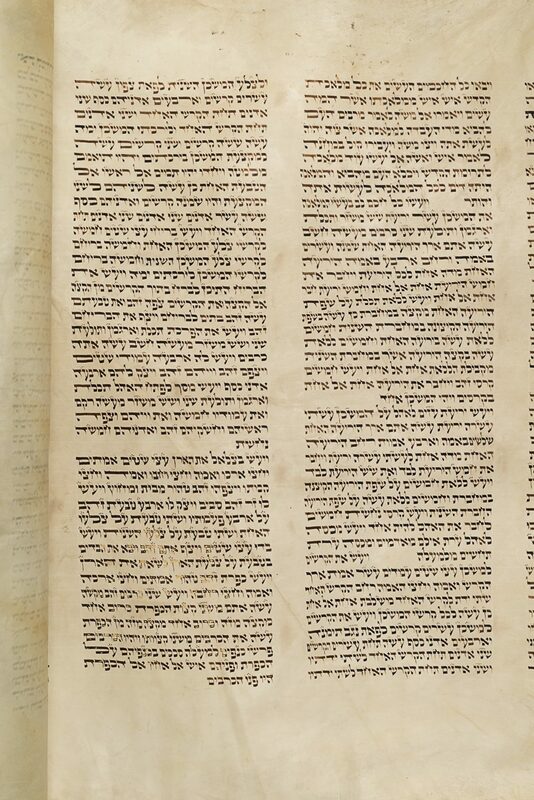 During one of his escapes, Mauricy bought this Torah scroll from a vendor who was using it to cover his merchandise and protect it from the rain. Mauricy gave the Torah scroll and a diamond ring to his Polish friend named Nachum Saskiel. He asked him to return them to his wife Rosalia if she survived. Rosalia lived in hiding with one of her daughters, Ruth, during the war. They survived the Holocaust but never knew what happened to their father and husband Mauricy. Nachum brought the Torah scroll and the ring to New York after the war. Rosalia found him after she immigrated to Montreal and received the diamond ring. 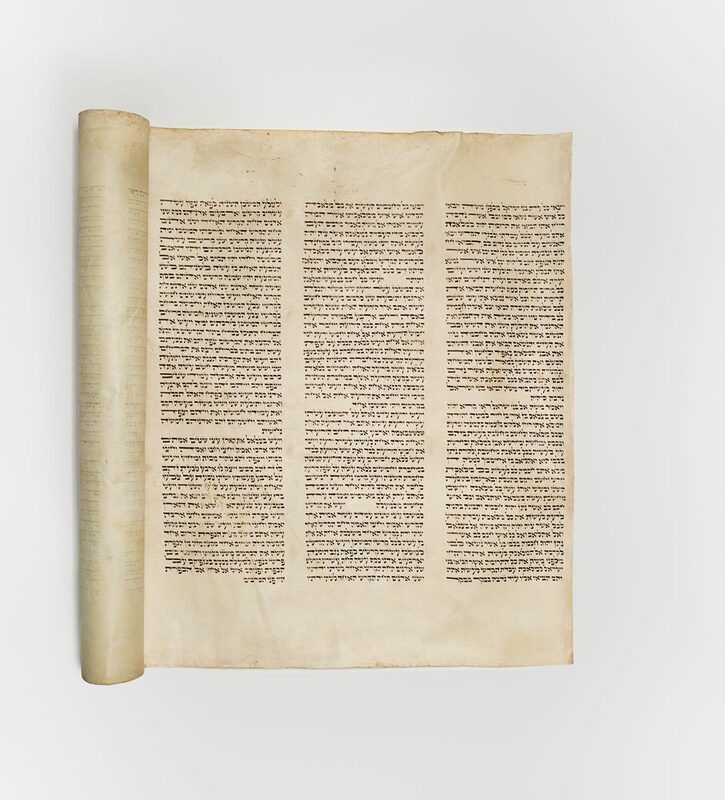 Nachum’s son donated the scroll to the 5th Avenue synagogue, and it was restored. It is now installed in the Sacred Arc of the synagogue. Mauricy Kopelman’s daughters, Ruth and Felicia, each received a fragment of the Torah scroll in memory of their father. Ruth Ballon, Mauricy’s daughter, donated her fragment to the Montreal Holocaust Museum in 2015.